The CDFA EDA Revolving Loan Fund Training Course is a two-day training course tailored to address the specific needs of EDA RLF Grantees. The course is based on CDFA's highly acclaimed Intro Revolving Loan Fund Course and offers an in-depth look at RLF program development, implementation and management. Participants will discuss the essential elements needed to operate a successful EDA RLF program with a focus on program design, marketing, management, loan underwriting and processing strategies, disclosure and monitoring, evaluations and program risk strategies. In addition, the course will focus on highlighting the perspective of many different EDA RLF grantees who have experienced success with an emphasis on replicability and peer to peer learning. Each day will include presentations from RLF experts and EDA RLF grantee peers to encourage discussion and ongoing collaboration. The CDFA EDA Revolving Loan Fund Training Course is being held as part of the CDFA EDA RLF Best Practices Program. A revolving loan fund is a self-replenishing pool of money, utilizing interest and principle payments on old loans to issue new ones. They come in many shapes and sizes and support a variety of economic development activities. The start of the Intro Revolving Loan Fund Course will establish the foundation for future sessions by outlining some of the basic principles of revolving loan funds. The underwriting and financial analysis of loan requests is an important element of all successful RLF programs. The ability to collect and analyze the information provided by the potential borrower will be discussed in detail during this session. This session will cover the information needed to conduct both program and project analysis. In addition, this session will cover the financial analysis process and necessary documentation materials, such as the profit-loss and cash flow statements. *There will be a 15 minute break during this session. This session will focus on the variety of RLF concepts and practices that have been discussed and them into context through a case study example. This case study will review who the partners were, how the loan was assembled, sources of capital, and how the loan determination was made. We will discuss the deal, what worked well, and consider the lessons that can be learned for future loans. The final session of the course will feature an interactive discussion lead by CDFA and EDA along with the RLF grantees to encourage exchanges about best practices and ongoing education. 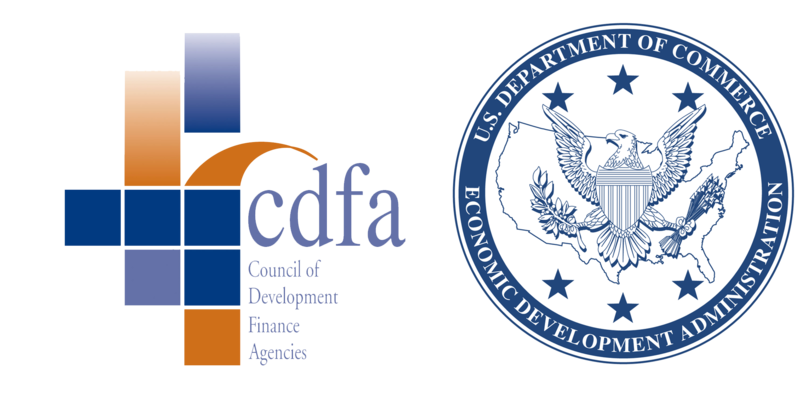 The CDFA EDA Revolving Loan Fund Training Course will be held in Denver, Colorado. CDFA will host a training in each of the six EDA regions. Learn more about other course dates on the CDFA EDA RLF Best Practices Program page. The Federal Reserve Bank does not have personal parking. However, there is metered parking available around the bank. The Denver Performing Arts Complex has parking space available in the their garage located two blocks from the bank at the corner of Arapahoe and 14th Street. The main entrance for the bank is located on Curtis Street between 15th and 16th Street. Registrants will be directed toward the conference room upon entering the bank. All registrants will be required to provide either a valid drivers license or passport in order to enter the bank. The name on the ID must match the name in CDFA's registration database. Registrants will also be asked to go through a metal detector and have their bags screened. Last minute registrants may require additional security screening since your name won't be pre-approved. Please register 2-3 days before the conference to assist CDFA with the security requirements. There is street-side metered parking available around the Blake Street Building. Parking is also available on the corner of 20th and Market Street for $7 daily. The reception will take place in the Centennial Room located on the main floor of the building. Colorado Lending Source will have people available to direct attendees to the right place. The CDFA EDA Revolving Loan Fund Training Course is open only to EDA RLF grantees. Registration is complimentary for staff of an active EDA RLF grantee. Click the Register button to reserve your seat in the training course.